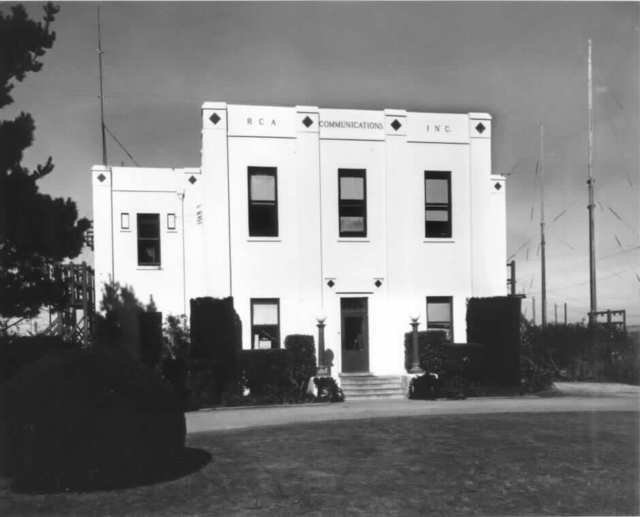 Every year, the Maritime Radio Historical Society celebrates the closing of the last commercial Morse code radio station, which happened at 0001 UTC, July 13, 1999. They do this by re-manning the watch for a few hours in honor of all those who so diligently listened for distress signals on 500 KHz and other frequencies continuously for over 90 years. Your humble author was one of those, who in the late 1980’s and early 1990’s strained to hear, through the static crashes and OTHR, the simple, yet effective combination of SOS sent in Morse code. Fortunately, after the closure of KPH, the National Parks Service took over the land and preserved the buildings and antenna fields intact. Today, a dedicated group of volunteers maintain these facilities as a working museum. This is the earliest history of radio technology and from this, sprang Amateur Radio, then Broadcast Radio services. These are duplex frequencies, meaning; the ship transmits on one frequency and listens on to the shore station on another and vice versa. Those medium frequencies do not carry that far during daylight, however the high frequencies should be heard across the world. There are more videos on youtube, if one is so inclined. Those old RCA transmitter look like they are in excellent condition. Somebody has spent a lot of time restoring those units. Hopefully, one of these years, I will get a chance to head out to San Fransisco during the middle of July and see this in person. It would be nice for my children to see what their old man used to do in what seems like a different lifetime. Every year on July 12, the Maritime Radio Historical Society (MRHS) commemorates the end of commercial Morse code use in the US. I have a soft spot for Maritime Radio, as that is where I began my radio career. For nearly one hundred years, ship board radio operators, “sparks” communicated with land based stations using Morse keys and relatively simple low powered transmitters. The skills gained by a good CW operator could only be attained by time spent sitting watch. Festivities begin at 8pm eastern time. In addition to those frequencies, K6KPH will be on the air on 3550, 7050 14050 and 21050 KHz. Lots more information at the Maritime Radio Historical Society site. Each year the MRHS commemorates 12 July 1999, the date on which the supposed last commercial message was sent in the US. On that date we pick up the thread, keep the faith and maintain the traditions of maritime radio communications so that the skills and traditions of all the radiotelegraphers who came before us will be maintained. While MRHS station KSM is on the air every Saturday, on Night of Nights we originate stations KPH and KFS in addition to KSM. We hope that other stations will join us on the air this year including KLB and WLO. You can participate by listening or by visiting the ex-RCA receive site to see the action in person. If you’d like to operate K6KPH just bring your key. No license required! If you have a commercial radiotelegraph license bring it along. You can sit the circuit at KSM and have your license endorsed for coast station service. KPH will transmit on 426, 500, 4247.0, 6477.5, 8642.0, 12808.5, 17016.8 and 22477.5kc. MF and 22Mc will be on Henry transmitters, rest of KPH HF on 1950s vintage RCA K and L sets. KPH operators will listen for calls from ships on ITU Channel 3 in all bands. The Channel 3 frequencies are 4184.0, 6276.0, 8368.0, 12552.0, 16736.0 and 22280.5kc on HF and 500kc on MF. 12695.5 will be on a 1940s vintage Press Wireless PW-15, formerly at the KFS transmitter site in Palo Alto, CA and one of the transmitters on the air on 12 July 1999. 17026.0 will be on a Henry transmitter. KFS will listen for calls from ships on HF Channel 3 (see KPH listing for frequencies) . KSM will transmit on 426, 500, 6474, 8438.3 and 12993kc. We don’t have enough antennas to accommodate the other KSM frequencies when KPH and KFS are on the air. A failure of any of the RCAt ransmitters may cause a KSM transmitter to be diverted to cover KPH. KSM will listen for calls from ships on 500kc and HF Channel 3 (see KPH listing for frequencies) . WLO will listen for calls from HF Channel 3(see KPH listing for frequencies) . KLB will listen for calls from ships on 500kc and 8368.0kc. K6KPH, the MRHS amateur station, will transmit and listen on 3550, 7050 14050 and 21050kc for KPH, KFS and KSM reception reports. Professional operators will be at the key and commercial procedures will be used. But please don’t hesitate to call, no matter what your code speed or experience level may be. Remember, this is a public event. If you are in the area you are invited to join us at the RCA receive site, 17000 Sir Francis Drake Blvd in thePoint Reyes National Seashore north of San Francisco. If using a computer mapping program add “Inverness” after the address above even though the station is well beyond that town. Doors open at 3:00pm Pacific time. Snacks will be served. Tours of the transmitting station may be arranged for “true believers” by appointment only. This year, MHRS is looking for volunteer CW operators to man the circuits. Those with a commercial telegrapher’s license can sit at the operating position for KSM, KPH, KFS. Those without a license or with an amateur radio license can sit the K6KPH position. Oh, how I wish I could be in San Francisco this July 12th! Unfortunately, that is also the date of my wedding anniversary. Perhaps one of these years I can convince my lovely wife to take a trip.